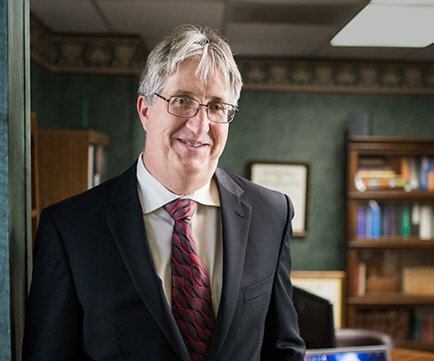 TX Estate Planning, Medicaid & Probate Attorney | Charles Kennedy P.C. I strongly believe in the phrase “there’s no substitute for experience.” In my three decades of practice, though, I’ve also found that truly connecting with someone’s situation is just as important. I can’t predict the future, but I can help you plan for it. Let my experience work to your advantage as we explore opportunities to make life a little easier for you and your loved ones. "Not everything in law is about conflict. Sometimes it's really just about helping people." I understand why animosity is so often involved in certain branches of law, but I’ve never been drawn to those practice areas. My caring nature led me in a completely different direction — one that not only allows me to help people, but also incorporates my innate desire to educate, listen, and counsel. I'll present you with the facts. Where we go from there is up to you. In an unfamiliar situation, it can be extremely frustrating to not know how to move forward. I won’t dictate what you should do, but I will lay out the options you have to choose from. As we delve into your choices, I will clearly explain the pros and cons of each one. And I will, of course, share my professional opinion — but our next move is ultimately up to you. Once you’ve chosen the path you feel is right for you, it’s time for action. With our combined efforts, we will strive to turn your decision into a plan, and that plan into a reality. If you or your loved one can’t come to my office, that’s alright. I’m more than willing to travel to care facilities, hospitals, and homes. Estate planning, bankruptcy, probate — whatever concern it may be that ails you, my goal is to minimize current and future conflict. Your legal situation is probably foreign to you, but rest assured — you won’t be left guessing. I’ll explain each step as we go. Every situation is different. I want to hear what's important to you. "Protect' is a broad term. It means a lot of things to a lot of people but ultimately always points to the things that matter most to them. To some — for instance, those contemplating their future — it means carrying on their legacy and ensuring their families are well looked after once they’re gone. To others, the word brings up the thought of securing their business or their assets — two things they’ve worked hard to build and grow over years. Still others jump to a different conclusion when they hear the term. For those who’ve recently lost someone they love, the word “protect” tends to invoke a bittersweet feeling. They can no longer protect their loved one from physical harm, but they can fight to make sure their wishes are honored and properly carried out. No matter how you look at your legal situation — whether it resulted from a recent loss, a concern about your business, or a desire to plan for the future — you’re looking to protect someone or something that’s important to you. As a genuine client advocate, I’d love to learn what that is so I can do my due diligence to help. Even more important than my mission to help is your process of recovery. When you and I finish working together, my hope is that you will walk away feeling safer, wiser, and in an overall healthier place than when we met.